Yes, food is worth serious study. I’m proud to be a graduate of UC Berkeley, a public university that provided me with an education—from undergraduate through doctoral—that was, at the time, at a cost low enough so I could take advantage of it. If Food Studies had existed when I was a student there, I would have enrolled in it immediately. Instead, I had to wait until we could invent it at NYU in 1996. But how wonderful that the UC system is using the Global Food Initiative to advertise the power of a public education. And how wonderful that food education is respectable enough to be advertised in the New York Times. Peter Andrée, Jeffrey Ayres, Michael J. Bosia, and Marie-Josée Massicotte. Globalization and Food Sovereignty: Global and Local Change in the New Politics of Food. University of Toronto Press, 2014. This is a book in a series on political economy and public policy, edited by political science professors in Canada and the United States with deep interests in food movements. The chapters, by various authors, define food sovereignty as “a central issue that cuts across social, political, economic, cultural, and ecological domains.” They deal with such matters as fair trade, local food, food security, and other food movements in places such as Cuba, Australia, France, and Brazil. This volume posits that–given the incrasing attention to the politics of food as local, national, and global–it is important to incorporate these new areanas of political action much more widely into curriculums and scholarship and focus especially the framework and methodologies of political science on the profoundly political issues raised by the food sovereignty response…we seek to develop the study of food politics as a more engaged arena within the social sciences…. I was fascinated to read yesterday that the President of the University of California (my alma mater), Janet Napolitano, presented plans for a new 10-campus food initiative to the California State Board of Food and Agriculture. I loved it that she made the announcement with Alice Waters at Berkeley’s Edible Schoolyard. is a commitment to work collectively to put a greater emphasis on what UC can do as a public research university, in one of the most robust agricultural regions in the world, to take on one of the world’s most pressing issues. The food initiative will build on UC’s tradition of innovative agricultural research to support farmers and ranchers. Future efforts will build on work already begun by UC’s 10 campuses and its Division of Agriculture and Natural Resources. Use collective purchasing power and dining practices to encourage sustainable farming practices, healthy eating, and zero food waste. Put food pantries and farmers markets on all 10 campuses. Partner with K-12 school districts to enhance leveraging procurement. Integrate food issues into more undergraduate and graduate courses. Develop catalogues of food-related courses. Put demonstration gardens on each campus for experiential learning. Mine data on California agriculture and response to climate change. Allow small growers to serve as suppliers for UC campuses. What fun! Can’t wait to see how it works. I hope other universities—including mine—start copying. Is Food Studies the end of civilization? Really? Before my talk at the University of North Carolina Charlotte this week, I was introduced by its Chancellor who read from an article written by Mary Grabar who works for a local conservative think tank, the Pope Center. “Food studies” has become an academic growth area, adding to the deterioration of the humanities, and to the advancement of leftist ideologies. No doubt our universities will be producing many more “scholars” investigating all aspects of food: food and race, food and capitalism, food and gender, etc. But we will have fewer graduates familiar with literary and philosophical masterpieces. Fewer will be able to produce good writing—or real food. The audience was amused, as was I, and I think my talk was a sufficient rebuttal on its own. But I do want to comment on her remarks directly. It most certainly does all of that, and is perfect for those purposes. What could be possibly be more democratic than food? Food studies, which tends to promote local, organic, seasonal, sustainable and healthful food, inherently questions the industrial food system. It also promotes food equity, food justice, and food sovereignty. No wonder it worries conservatives. I, for example, teach courses in food policy, politics, and advocacy, in which I teach students how to analyze food systems and advocate for those that promote the health of people and the planet. When my academic department at NYU inaugurated our undergraduate, master’s, and doctoral programs in food studies in 1996—18 years ago!—we could hardly have predicted how quickly the field would spread to other universities or how brilliant and exciting so much of its scholarship would turn out to be. I’m proud of my own contributions to the field and thrilled that Food Studies has gotten to the point where conservative critics worry that it might be effective. In one sense, Ms. Grabar’s article helps the field. It contains links to websites for several Food Studies programs, ours among them. For other such links and additional resources, go to the website of the Association for the Study of Food and Society. This is a wonderful field of study. Come join us! Want to teach a course in food studies? Start by joining the Association for the Study of Food and Society or talking to people in food studies programs. 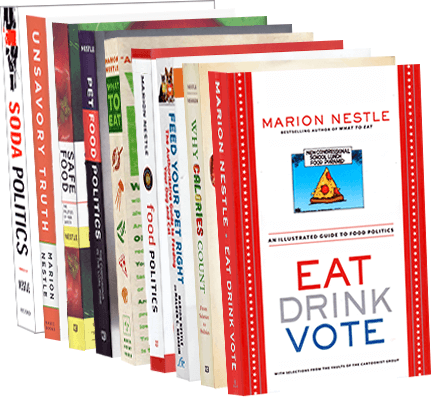 Members have access to posted syllabus materials for a wide range of food studies courses. Amy Guptill, Denise A. Copelton, and Betsy Lucal. Food & Society: Principles and Paradoxes. Polity Press, 2013. This is an introductory book aimed at undergraduates. It begins with: Welcome to the study of food! Far ranging in scope and hitting on the essential issues most likely to interest students, this book gives readers plenty to think about. It’s well written, clear, has a point of view (sociology matters! ), and thoroughly integrates social science concepts with the meaning of food in people’s lives. An excellent introduction to courses in foods studies, food and society, and food and culture. In his thoughtful (and lengthy) obituary of Claude Lévi-Strauss, Edward Rothstein describes the French anthropologist as a profoundly influential and powerful thinker, an intellectual giant of the 20th century, and a scientist whose analyses of the cultural significance of myths “challenge the reader with their complex interweaving of theme and detail.” Lévi-Strauss did all this, and more. But I think of Lévi-Strauss as the inventor of Food Studies before the field existed. If present-day food academics do not always acknowledge his groundbreaking use of food and foodways to explore how “primitive” societies make sense of their worlds – or require students to read his books in their courses – it is surely because “challenge” falls so far short of conveying the stunning impenetrability of his writing. Within the basic triangle formed by the categories of the raw, the cooked and the rotten, we have, then, inserted two terms, the roast and the boiled, which, in most cases, can be placed, one in the vicinity of the raw and the other in the vicinity of the rotten. Still missing, however, is a third term, illustrating the concrete modalities of the form of cooking which most resembles the abstract category of the cooked. This modality, I suggest, is smoking, which, like roasting, implies a non-mediated operation (involving neither a receptacle nor water), but which, unlike roasting but in the manner of boiling, is a slow form of cooking, and so both thorough and steady. Even so, Food Studies students and scholars are much in his debt. Weekend fun: eat fast, grow the economy! According to the latest charts in the New York Times, countries in which people eat more quickly have faster growing economies than countries in which people linger over meals. The Gross National Product in such countries also suffered less severe declines last year. On the other hand, they exhibit higher rates of obesity. Coincidence? Maybe, but here’s another example of why food is such a powerful tool for examining major societal questions.